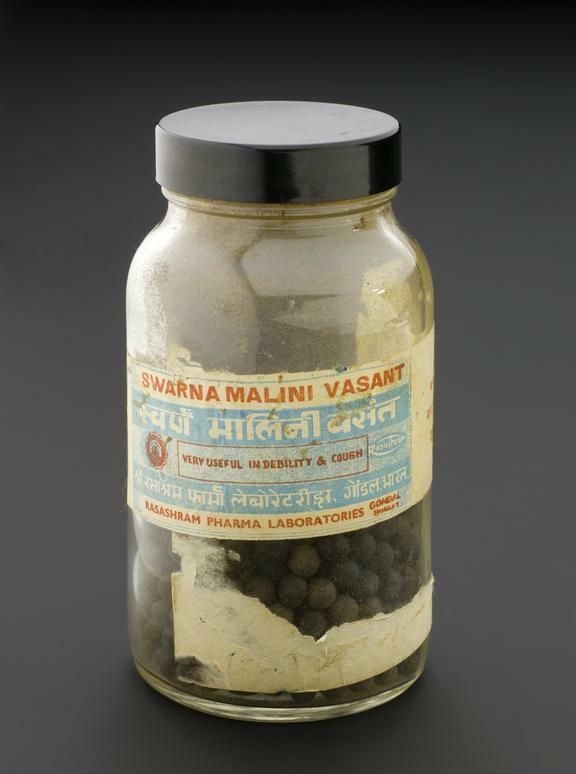 The herbal medicine ‘Swarna Malini Vasant’ is used by Ayurvedic practitioners in cases of ‘debility and cough’. Ayurveda is a medical tradition. Its history reaches back over 2000 years. Its roots are in the Indian subcontinent. Goods such as this helped spread its influence to many parts of the world. This remedy was imported into the United Kingdom from India during the 1970s.